I could hear the cacophony of reporters in the next room before I could see them. 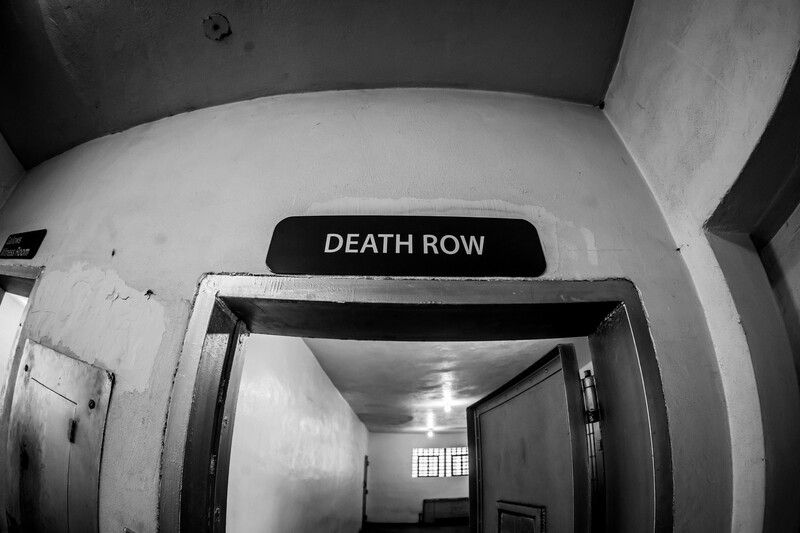 My handlers opened a solid, steel door enthusiastically labeled DEATH ROW to reveal the long, winding hallway that might lead me to my final moments. The reporters were out of sight from my vantage point, basically hiding behind the door, and ambushed me like hungry lions the moment I was led into their territory. Why they let people in to antagonize people in their final chapter of life, I don’t know; I guess when you’re marching to your own execution it’s not like you have many more basic human rights to lose. The clamor of reporters were piercing, so pleased with themselves to be here and so excited to ask me their hard-hitting questions: the peaceful tranquility I’d pictured today with after adjusting to a year of solitude was desecrated by selfishness, greed, and wrath. Although I didn’t acknowledge or answer any of their questions, they still echoed powerfully in my ears. “How are you going to choose?” one inquired. I kept my head down. The questions may be justified in some light, but to actually ask them out loud should be humiliating and shameful to more parties than just me. Eventually the reporters faded away behind me as I kept marching, apparently confined by some arbitrary rule to remain in that awful room. At least, it seemed like they weren’t following; only the questions that had already been asked continued to reverberate as whispers within my skull. Hopefully they got everything they were hoping for from their Saturday morning well spent. 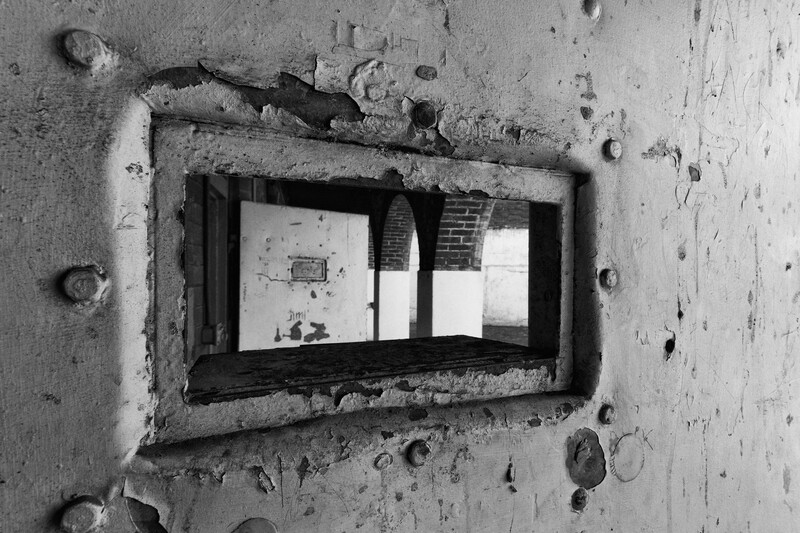 The room was relatively small, just slightly larger than the cell I’d spent the past year in, with the same harrowing off-white paint chipping off each wall. In the center of the room was a plastic table and chair, but I preferred to stay standing for this. On the table was two saucers, each with a differently colored pill laid gently in the center: one black, one white. Between the saucers was a single plastic cup of water about the size of a shot glass, but made of materials less deadly — as if they didn’t want me trying to kill myself in here. Behind me, one more of the thick, steel doors ubiquitous in this prison was the only thing between another mob of hungry reporters and myself, and several had their faces pressed up against the glass like animals lined up for (someone else’s) slaughter. Directly above the door was the only wall decoration in the room: a black camera aimed directly at the table in front of me, which was probably set up to broadcast my sitcom to the rest of the reporters not lucky enough to get a spot peering through two inches of glass. Obviously I didn’t want to pick the one that would kill me, or else I wouldn’t have agreed to take part in this experiment; if that were my goal I could have accomplished that a long time ago. No, I want the other pill. The one they won’t tell anyone the side effects for. But if they’re an alternative to death, they probably don’t include death. White’s the obvious choice to differentiate a pill from one that kills you, but maybe the choice is part of the experiment too. Dr. Benjack was adamant on refusing to say what the experiment was even testing, but the small chance of avoiding execution was enough for me to get on board with it — whateverit is. White’s too obvious. I picked up the black pill and held it between two fingers up to the florescent lighting, learning absolutely nothing from the cliche gesture: it just looked like a pill. With my other hand, I picked up the glass of water and held it tightly. “It’s random,” I muttered to myself, not entirely convinced the colors even meant anything in the first place, other than a way to differentiate between two kinds of pills. I stared intently at the black pill in my hand and slowly raised it towards my lips. I glanced once more at the camera behind me and paused, still unsure. Quickly and without thinking, I dropped the black pill back onto its saucer and picked up the white one, threw it into my mouth, and chased it with the shot of water that carried my judgement deep into my stomach. The adrenaline shooting through my veins masqueraded as a harbinger of death, but no matter how much I expected and came to terms with the inevitable, no eternal darkness came. Just the white room. The incredibly silent, white room. I broke the silence to speak to myself, gasping in disbelief. I pictured them gasping, their happy ending deprived. I did it; I was not dying today. The looks on their faces were priceless, and I sneered at their disappointment. Surprised, I whipped around and recognized the boy immediately. He was visibly terrified, shaking with darting eyes between me, the camera, and the door. Lost for words, I escaped the paralysis of surprise and crouched, holding a comforting hand out to console the boy. I twisted in place again, this time bringing both fists up to a defensive stance, but was caught off guard when I saw the man — and the boy I wasjust looking at — standing next to each other and staring off into the distance, holding hands exactly as they were in my scope a year ago on campus. The angle was different, of course, because I was on the ground, but I remembered them both exactly. Behind the three of them, a saw another face I recognized from that day peer in from the other side of the window, smiling softly at the misfortune befalling me. He opened his mouth to speak, though the echos of the reporters from earlier came out instead, filling the air with a caterwauling of hatred. I covered my ears with my hands and shut my eyes, but the voices did not stop. When I finally opened my eyes again, the boy from the other side of the glass was inside, accompanied by the six other victims from the shootings, and they were each holding hands making a circle around the room with me in the center. I spun, taking each new face in with a flood of memories washing back and swelling my regrets. When I couldn’t handle any more, I covered my ears once again and dropped my gaze to the table and chair that had been laid out for me. Another glance toward the door’s peephole revealed more reporters watching intently, though I could barely see them past the father’s figure. I peeked at the camera one last time and whispered, “I feel everything,” before picking up the other pill, swallowing it dry, and convulsing onto the cold ground beneath me.